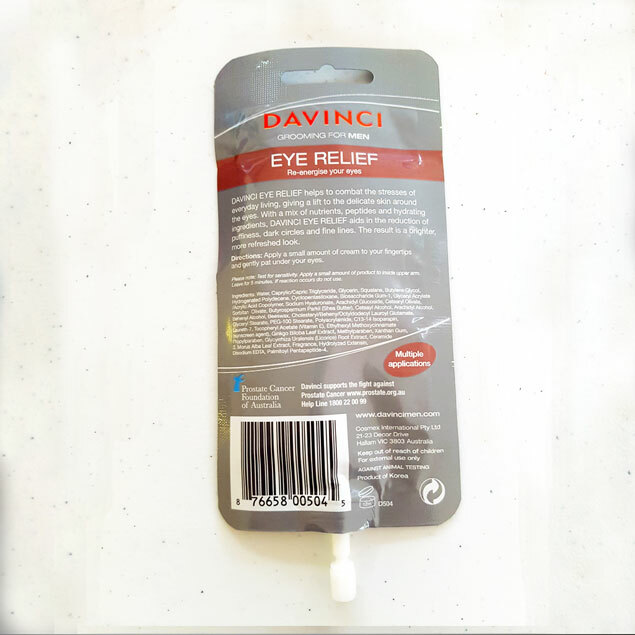 Comes in practical easy to carry around and travel with, lightweight compact sachet.DaVinci Eye Relief helps t combat the stress of everyday living, giving a lift to the delicate skin around the eyes. With a mix of nutrients, peptides and hydrating ingredients, DaVinci Eye Relief aids in the reduction of puffiness, dark circles and fine lines. The result is brighter, more refreshed look.